The world I’ve created, including how my Dark Fae characters are patterned after burned-out rock legends. Why New Zealand is the perfect setting for this story. Why Back To The Future inspired my writing, including one of it’s famous stars who was my movie buddy at Arizona State University. Here’s a sneak peek at the cover of book one in my Delfaerune Rhapsody new-adult fantasy series! L.H. Nicole is a member of my young-adult fiction critique group and a great storyteller, so be sure to check out her books when you visit her site. This entry was posted in All Posts, Delfaerune Rhapsody, Words: Serious Play and tagged Ann Narcisian Videan, Ann Videan, book giveaway, Delfaerune Rhapsody, L.H. 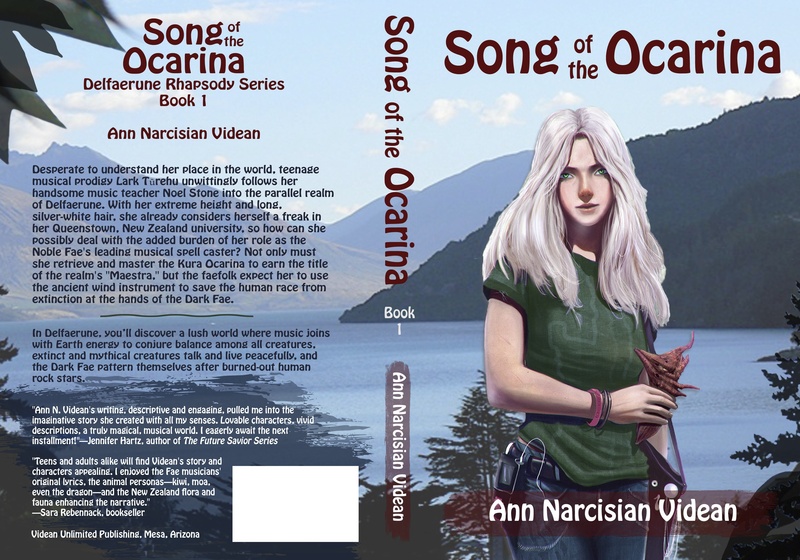 Nicole, Legendary Saga, Song of the Ocarina, Videan, Words.Music.Villlage by Ann Videan. Bookmark the permalink.